The fifth Jeffrey Flint novel was to be set in Portugal, involving a Roman shipwreck. Flint was going to meet the love of his life and either she would become his permanent sidekick for future books or they would live happily ever after. ‘Blue’ never advanced beyond a first chapter, a few key scenes and a box file dedicated in its name. My publisher was Severn House, which produced high quality hardbacks but did not at that time have a paperback arm. E-books were still stuff of science fiction. My agent and I discussed how we could ‘break out’. With my hardbacks costing £15 at a time you could buy a Wilbur Smith or Jeffrey Archer paperback for £4.99, so I was never going to achieve high volumes. This was particularly a problem when attending book fairs, literary festivals and the like – my ‘product’ was expensive and specialised. I would remain a niche author unless I was in paperback. As it is hard to jump publisher with an established character or get a paperback house to take on a previously-published hardback, I was in a quandary. The answer was double-forked. I began to write books in a different style, but it was clear the original style was the way I wrote, so it came down to creating a new character who could be carried across into paperback unhindered by Jeffrey Flint’s backlist. I am a complete movie nut, and have a great deal of affection for historical / fantasy / science fiction epics. Flint inherited this love: John Boorman’s Excalibur had inspired ‘Lady in the Lake’. 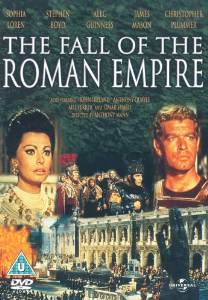 I had started planning a book whereby Flint became advisor to a film akin to ‘Fall of the Roman Empire’. I needed to set it in Britain and keep clear of other epics, so the last campaign of Septimus Severus would become the subject. I had been working in York where Legio VI had adopted ‘African’ style pottery after Severus’ arrived so I was already warmed up to the period. My agent suggested a new character – younger, possibly female. Maddy Crowe was born and I started work on my fifth novel.